Well, we have arrived in England, to snow. I’m not quite sure what I did in a former life to deserve that, but today the sun is shining, Paul and I walked across the fields to a lovely country pub for Sunday lunch and everything feels much better. Yesterday, we went to the England/Wales match at Twickenham, and listening to the passionate (and tremendously loud) voices of 80,000 Brits sing ‘God Save the Queen’ almost brought me to tears. After a week of feeling quite foreign it certainly made me feel English again. But apart from an awful (in the nicest possible way) lot of daffodils, gardens are still pretty bare. I’m amazed that this long after Christmas, there are so few signs of leaf buds on the trees. And so, as I donned my beanie to help Mum prune back her bare raspberry canes, I was a little wistful about the warm days of year-round, lush, Australian gardening. But in some ways it’s good that we have a few weeks (there I am, being hopeful!) before the gardens really take off, as I’m months behind with writing up my Australian visits. I think we’ll start with Cat Alley, which I visited on my birthday last month. What an incredibly soul warming place that was. It may have helped that I was with my dear, plant-mad friends, Catherine and Steven (miss you both! ), but as soon as I turned the corner to see McElhone Place, my heart sang. In streets of tightly packed terraced houses and a void of nature strips and front gardens in most cases, it was an absolute oasis. There’s no camera angle trickery to the photos. The entire street is absolutely packed, end to end, with plants; only a few narrow doorways providing occasional breaks to the vegetation. It’s hard to believe that the whole thing is pot-based; it’s simply a pavement that has efficiently been turned into a billowing garden. Clearly, I’m a lover of all greenery, but I do have preferences for some types over others. It isn’t just the surprise of so many plants that delighted me so, but rather the exact look and feel of them. Can you believe all this is growing on the pavement? Or perhaps I should say the inexact look and feel of them. It’s all a bit of a wilderness along that street. Well looked after and cared for, but a mishmash of every species you could possibly think of, all poked into the smallest of spaces. And a mishmash of styles too. Some, beautifully curated, elegant colour schemes and some with every colour of flower imaginable. Some simple, modern compositions, with bold, architectural specimens, whilst others consisted of a cottagey mix of herbs and annuals. And isn’t this mass of plants just pure delight? It was this variation that gave the street its soul. Each owner planted exactly what they wanted in the strip outside their home; there were no rules or style police asserting influence. The common theme was that every single owner loved plants and this alone gave plenty of cohesion to the street. Every square centimetre of pavement being fully to bursting with pots and planters, creating a quite extraordinary effect. But the soul exuding from Cat Alley wasn’t only about a shared love of plants, but something much deeper. As we strolled along, stopping to smell a Frangipani flower or identify something a little less usual, owners greeted us with a friendly hello from beyond the open doors of their houses. One lady came out to do her shopping, stopping to chat to a neighbour on her way and a gentlemen could be seen catching up with another in the street. Orange Frangipani can be tricky to grow in Sydney as it typically likes a more tropical climate; but in Cat Alley, no problem! Could this be the most desirable street in Sydney? The houses are petit and harbour views non-existent, but it certainly felt like the nicest one I had ever visited. The community feel, the pride and care that was taken, without exception, not to mention the broad range of floral sensations that hit you as you walk along, is something that money can’t buy. It is utterly soul warming, a stroll along McElhone Place, and I’m envious of the residents who must always enter their homes at the end of a long day with a calming smile on their face. I just hope that all the many cats who also live on the street, giving it its nickname, equally appreciate this magical, magical environment. There is a London equivalent of Cat Alley, although I can’t for the life of me remember where it is. And it won’t have Frangipani that’s for sure! You’ve arrived back at the right time bacause this week is supposed to be dry although maybe not as warm as today has been. A whole day out in the garden and don’t my muscles know it! I’ll be looking out for Cat Alleys in London then! I do love the mews streets; imagine it is one of those. The sun has been lovely the last few days although we’ve had enough of the cold. Just at Gatwick waiting to fly for some warmth! Hope to report back on some milder climate gardens soon. Hi Deirdre. Thanks so much and thank you also for the very touching email. I’ve just realised having been so pleased to receive it, in the rush I hadn’t responded. Sorry about that. Hope to see you when I’m back visiting. I can definitely see a trip coming on next northern hemisphere winter! Glad to see you in your wellies in England Janna – lucky mum! Hope we all hear from you again soon and yes Cat Alley is a fascinating little spot but I do pity the residents as they must get a lot of ‘rubber neckers’ in their lovely little street! We got a bit of rain here Janna which was fab as my poor old garden was sarting to suffer a bit. 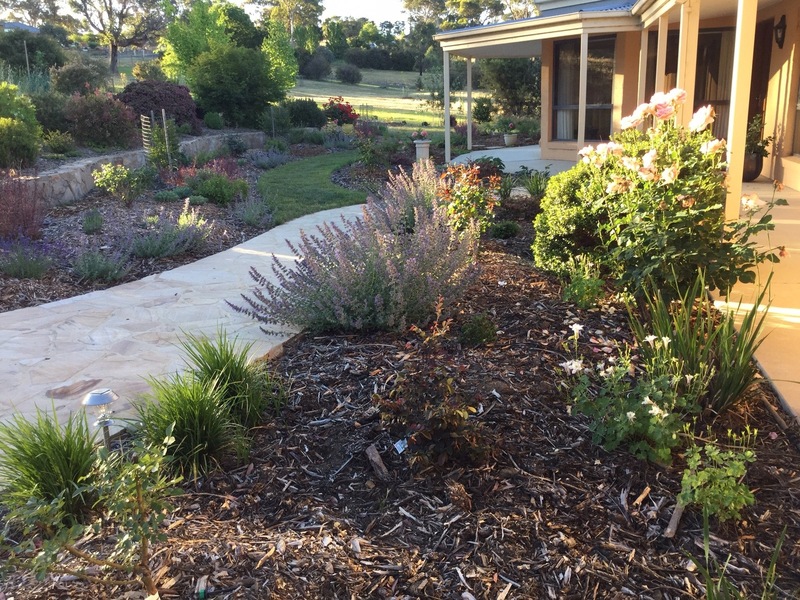 So no matter where you live there are upsides and downsides – happy gardening with mum. Yes, I had to borrow ‘gum boots’ from Mum. They’ll be on my shopping list. She’s most put out that I’ve portrayed an image of me slaving away for days with her when in reality I cut a few raspberries back for an hour before deciding it was too cold! We’ve been pretty busy house hunting, too. Glad to hear you’ve had rain at last. It’s certainly been dry across Australia for the last month. Yay! I was so excited to see your blog appear in my email today. I have missed reading them. Glad to hear that you are safe and well in England. Wow…..cat alley is amazing given it is in the middle of Sydney and all the plants are in pots. Look forward to reading another one soon. All the best with settling in. I’m excited to hear from you, too! I also owe you an apology for not responding to your email yet. It’s all been a bit mad. But it’s so heart warming to receive kind messages and hear from people that are far away, so thank you. Off to see some gardens this week. Watch this space! Glad to see you have survived the snowy weather. 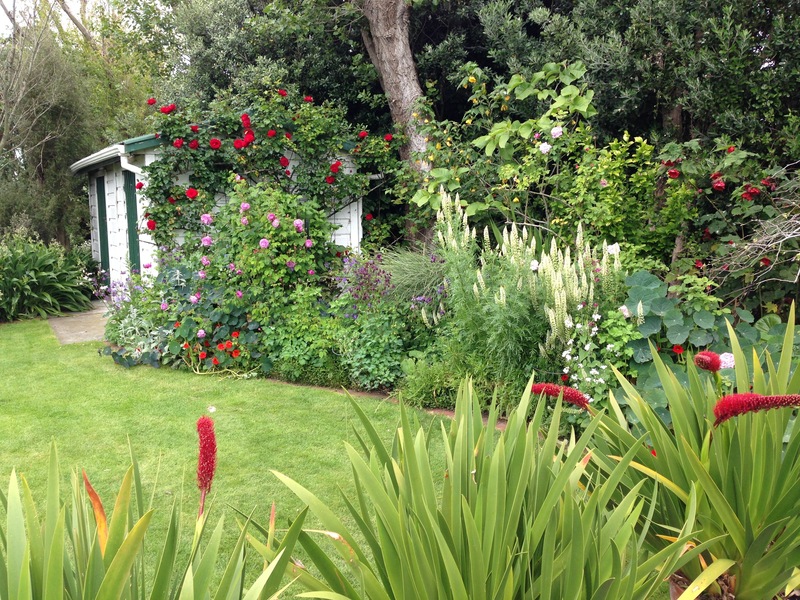 I look forward to lots of interesting posts about English gardens…always so lovely in spring and summer. Thanks very much. I’m a big fan of spring/early summer too. Everything looks so fresh and lush. Exciting times! What a time to arrive! Nicer now, maybe you brought fairer weather with you? Columbia Road, East London (enroute, Spitalfields), Kew and Wisley Gardens for hot houses were godsends when we got back from Asia Pacific. ‘Happy new home’ to you both, have fun exploring. Thanks ever so much for your kind wishes and suggestions of gardens to visit. I’ve never been to Columbia Road so I’ll definitely venture out there. We moved to Asia at the end of February 2008, having just about got through a horrid winter that year, so I think it’s only right that we had the chance to return and enjoy the spring we never had! Shame you missed the snow. It was actually quite funny to drive from the airport with it hitting the windscreen but I’m very glad it’s gone now. Once the gardens take off I’ll definitely be in my element.